As a Northside Platinum Club member, you will receive exclusive member benefits. 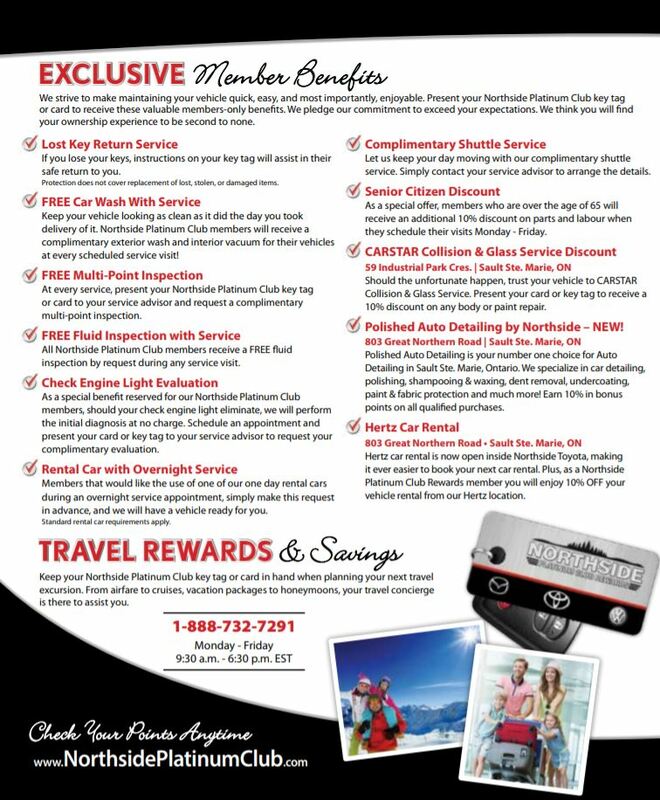 From free carwashes and services to complimentary shuttle service and discounts, being part of the Northside Platinum Rewards Club offers many valuable members-only benefits. As a Northside Platinum Club member, you are only a swipe away from incredible vehicle savings. With every qualified purchase you make you will earn 10% of each dollar you spend toward the purchase or lease of your next vehicle! Swipe at every visit and earn up to $2,000 in future vehicle savings! From fine dining to entertainment, our merchant partners offer Northside Platinum Club members exclusive, everyday savings. Simply present your key tag or card at the time of purchase to take advantage of our members-only discounts. 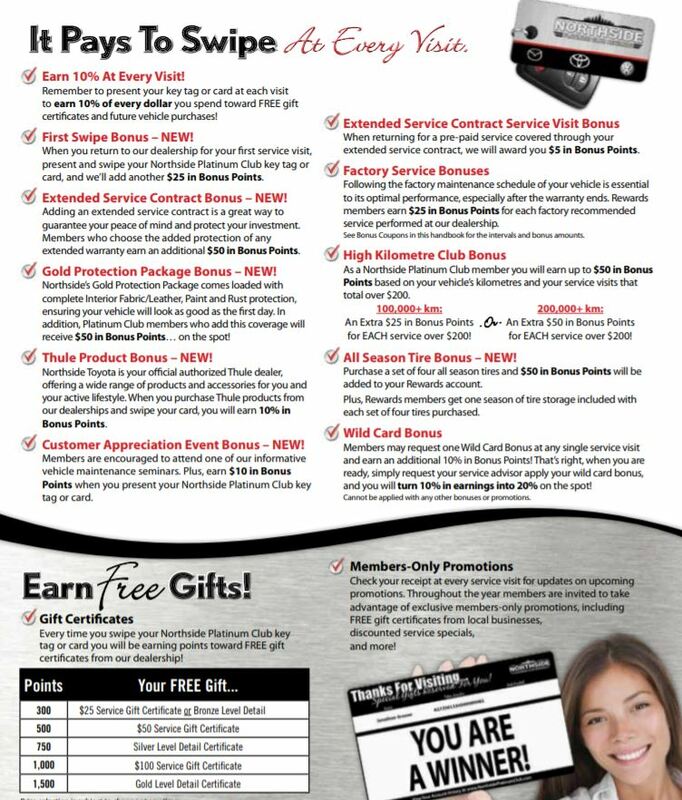 See below for a complete list of our merchant partners and their current offers.